As rail travel became increasing popular in the mid nineteenth century, it was deemed necessary for a rail link across the Menai Strait for the convenience of MPs travelling to and from Ireland. The possibility of adding a rail line across the Menai Suspension Bridge was investigated, but found to be inappropriate. Therefore a second bridge across the Menai Strait was commissioned. This bridge would need to be at least 100 feet above the high water level to allow tall sailing ships to move underneath the bridge. It would also need to support two train tracks across its main span. To complete such a bridge today would still be considered a difficult prospect. The challenge was handed to Robert Stephenson, son of George Stephenson, who was one of the leading railway and civil engineers of the time. His design team also included William Fairbairn and Eaton Hodgkinson. Many ideas were considered, but the favoured design would be a revolutionary new tubular design. This would incorporate two main spans of 140 metres and two additional spans of 70 metres made from giant wrought iron tubes. There would be two tubes for each span; one for each of the railway lines. At first it was considered by Fairbairn that the tubes would need support from chains in the manner of a suspension bridge to stabilise the structure. Tests and careful mathematical investigation showed that chains would not be needed. By creating a tubular system, the forces of compression and tension acting upon the tube as the train travelled across would be dissipated or spread out across all four surfaces of the tube, and the bridge would retain its structural integrity. In other words, the larger surface area of the box girder allows the force to be dissipated more efficiently. This would result in being able to span a greater distance and carry the force of heavy loads crossing the bridge. 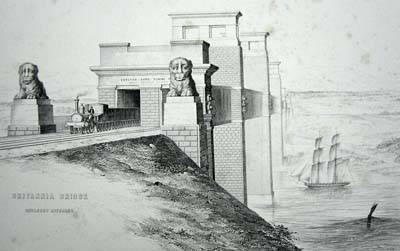 The construction of the Britannia Bridge was started in 1846 and completed four years later in March 1850. The tubes were constructed onshore on the banks on the Menai Strait before being floated out into place and hydraulically pumped into position. At the same time Stephenson’s other tubular bridge in North Wales, the Conway Bridge, was also being constructed and their completion signalled the opening of the Chester to Holyhead railway. 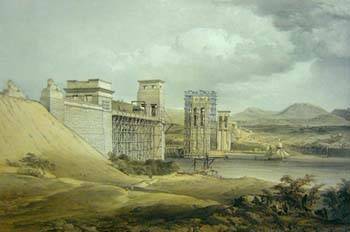 The Britannia Bridge remained in use and was claimed to be the most easily maintained railway bridge in Britain, until 1970 when the bridge caught fire. A group of local youths exploring the tubes of the bridge accidentally dropped their burning torch and the bridge caught fire. Some of the tubes were visibly sagging after the fire and the bridge was classed unsafe. It was not until four years later that normal rail services across to Anglesey were resumed. During reconstruction after the fire the bridge changed dramatically. 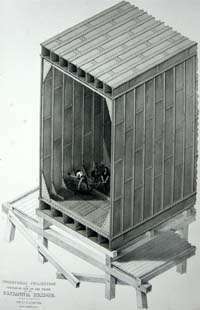 The tubes were no longer used and the deck was supported by arches spanning between the towers. The original towers remain but have also been altered to suit the new design of the bridge. In 1980, ten years after the fire a road deck opened above the railway on the bridge, which carries the A55 across to Anglesey. Stephenson and Fairbairn’s tubular design went on to influence many engineers, including Brunel and its principals are still widely used today. The Conway Bridge is still in its original tubular form and is still in use over 150 years later. A section of the tubes of the Britannia Bridge can be seen on the Bangor side of the Menai Strait, close to the bridge itself.